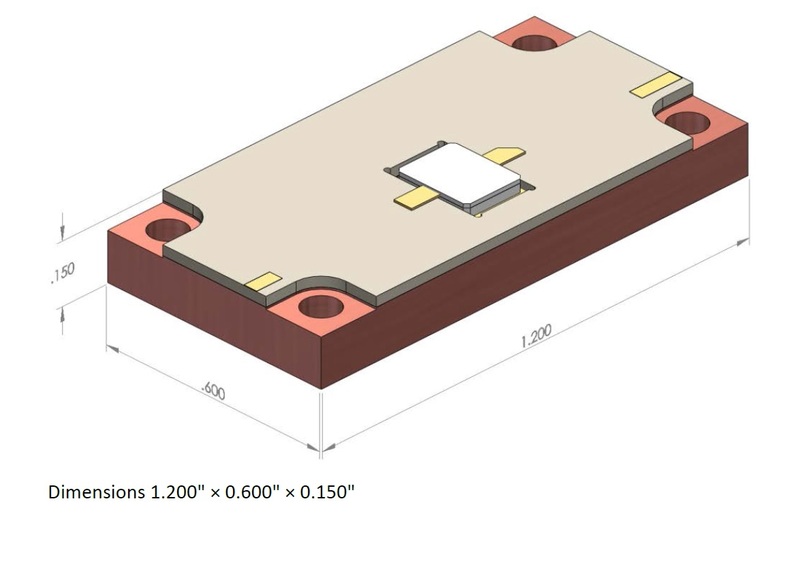 The 1416GN-120E/EL/EP is an internally matched, common source, Class AB, GaN on SiC HEMT transistor capable of providing over 17 dB typical power gain, 120 W of pulsed RF output power under 300 ?S pulse width and 10% long term duty cycle pulsing across the 1400 MHz to 1600 MHz band. The transistor has an internal pre-match for optimal performance. The hermetically sealed transistor is available in two package types, both the bolt-down flange 55-QQ package and the solder-down earless flange 55-QQP package. It is also available mounted in a 50 ? IN/OUT pallet. These three products are specifically designed for use as drivers in DME (Distance Measuring Equipment) and L-Band pulsed radar transmit power amplifiers, and they utilize all-gold metallization and eutectic die attach to provide the highest reliability and superior ruggedness.Export Classification: EAR-99.